Need Great Marketing Solutions? Contact Us! 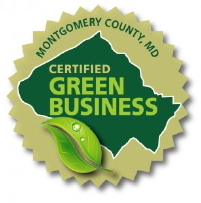 4GreenPs is headquartered at the beautiful Bethesda Green offices in downtown Bethesda, Maryland, just a few miles from Washington D.C. Bethesda Green is one of the first locales to earn Montgomery County’s stringent new Certified Green Business designation. Client and team meetings take place in Bethesda Green’s well equipped, eco-friendly conference rooms. Bethesda is just a few minutes away from Washington, D.C. via Red Line metro. Want to talk? Call Lynn Miller direct at 301 529 2403 (mobile) or 301 986 1413 (desk). What's Your Tough Marketing Challenge? Need to increase sales or donations? Reach more people? Get found online? What are you waiting for? Let's do it!